Early versions of Paperport were available for the Apple Mac on OS9 and OSX. This was later dropped but we can convert the files from these old scanner systems. Paperport was often sold with the Visoneer scanners as shown in the picture. Files can be exported to view in later versions by Nuance or stand-alone viewers. We have even managed to get old versions running on newer Windows eg 7 and 10. Work is underway to allow them to open on modern Mac. If you need a apple mac os9 osx scansoft visioneer paperport scanner service, then contact our friendly company. Early versions of Paperport were available for the Apple Mac on OS9 and OSX. This was later dropped but we can convert the files from these old scanner systems. 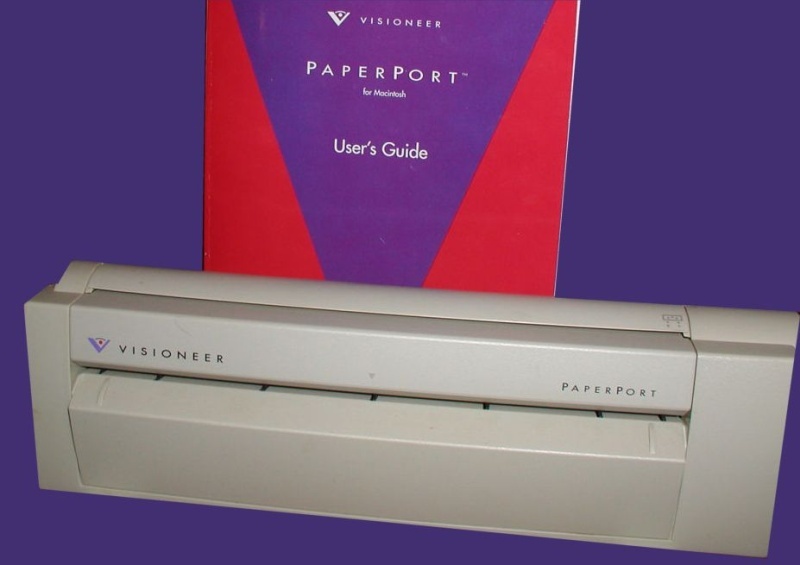 Paperport was often sold with the Visoneer scanners as shown in the picture. Files can be exported to view in later versions by Nuance or stand-alone viewers. We have even managed to get old versions running on newer Windows eg 7 and 10. Work is underway to allow them to open on modern Mac. .